Please review our Consumer and Client Privacy Policies below. At PeopleFacts, we are strongly committed to the protection of consumer privacy. As a consumer reporting agency, PeopleFacts is regulated by both federal and state law as to the procurement and dissemination of consumer information to our customers. We believe that providing a superior product and service to our customers is firmly rooted in our duty to promote and ensure consumer privacy. PeopleFacts also requires our customers to stay compliant with federal and state law when handling sensitive consumer information. We offer and make available an online library of compliance resources to guide and assist our customers in their compliance efforts. Our Privacy Declaration may change from time to time in order to stay current with legal, technological, business, and industry changes. Any modifications made to our Declaration will be posted on the PeopleFacts website. This Declaration extends to cover the consumer information PeopleFacts obtains for, and disseminates to, our customers. It should be noted that each state differs in the rules governing how consumer information is used. 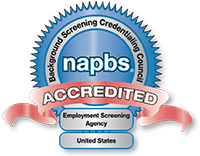 PeopleFacts is rapidly becoming one of the nation’s leading providers of background screening solutions. We work with the nation’s top-ranked, public data reporting agencies to bring our customers the most accurate and reliable customized data on the market today. However, PeopleFacts will not compromise the privacy of consumer information in this competitive market. Our dedication to furnishing superior information in rapid time in this highly-regulated market is synonymous with our dedication to the protection of consumer privacy. We ensure that any report delivered to our customer is in accordance with the federal mandates pursuant to the Fair Credit Reporting Act (FCRA). We require each of our customers to certify to us that they have a permissible purpose, as defined by law, for procuring the consumer information. Further, our customers are required to obtain proper authorization from a consumer prior to requesting a report from PeopleFacts. A customer’s failure to obtain proper authorization will result in the termination of access to the PeopleFacts system. PeopleFacts has made available an online procedure for any consumer inquiring into their consumer report or having a dispute regarding the information contained in their consumer report that was procured by PeopleFacts. This process is user-friendly and requires identity verification of the person making the inquiry or placing the dispute. PeopleFacts has trained personnel available to answer consumer questions and handle all consumer requests in a timely and professional manner. PeopleFacts does not sell or disseminate any consumer information to third parties who have not contracted specifically with our company for consumer information. PeopleFacts customers are required to sign a Customer Service Agreement and undergo varying degrees of scrutiny before they are allowed to order consumer reports from PeopleFacts. By no means will PeopleFacts sell consumer information to individuals intending to use this information in a way that defeats the PeopleFacts’s Declaration of Consumer Privacy. PeopleFacts thoroughly understands the confidential nature of consumer information. We are not only under a legal obligation to protect consumer information; we are also under an ethical obligation to promote the proper dissemination of consumer information. We understand that the misuse and improper handling of this confidential information is a matter of consumer public concern. As such, PeopleFacts has implemented strict in-house policies designed to minimize risk and protect sensitive information in accordance with the highest industry standards. PeopleFacts attempts to limit to the greatest extent possible the “offshoring” of Personally Identifiable Information (PII) of consumers – such as names, dates of birth, and Social Security numbers (SSNs). PeopleFacts’s intent is to protect the PII of consumers by keeping this information in the United States. Domestic Screening: Screening services for consumers in the United States is conducted using personnel located within the United States. Data is not sent outside of the United States for preparation of a background check report. All work is done within the United States. International Screening: Where international sources of information must be sought, such as verification of foreign employment, education, professional license, or criminal record, some information may have to go outside of the United States. In such cases steps are taken to protect sensitive information. PeopleFacts will attempt to directly contact the source of the information sought such as the employer or school registrar whenever possible. If it is necessary to utilize a foreign firm, steps are taken to ensure the firm is properly vetted. PeopleFacts will send the minimum amount of information necessary to foreign firms. At PeopleFacts, we are strongly committed to our customers and to the protection of our customers’ sensitive information. This commitment is firmly embedded in our belief that a superior product, excellent customer service, and mutual trust between PeopleFacts and our customers foster long-lasting business relationships. Here at PeopleFacts, we make customer protection and privacy one of our top priorities. Our Privacy Declaration may change from time to time in order to stay current with legal, technological, business, and industry changes. Any modifications made to our Declaration shall be posted on the PeopleFacts website. Our Privacy Declaration reflects the mandates of federal and state law that is applicable to a business-type such as ours. This Declaration also extends to cover the customer information PeopleFacts obtains for purposes of procuring a consumer report for our customers. PeopleFacts is rapidly becoming one of the nation’s leading providers of background screening solutions. Using our own proprietary software and database technology, we work with the nation’s top-ranked, public data reporting agencies to bring you the most accurate and reliable customized data on the market today. We are dedicated to furnishing you with superior information in rapid time. However, we must do this while acting in accordance with our consumer data vendor agreements and pursuant to any applicable law. As a result, we are obligated to request various types of information from our customers, some of which may be of a sensitive nature. Our Declaration recognizes two types of information that deserve the same level of protection: customer-identifiable information and sensitive customer information. PeopleFacts implements the highest security measures and safeguards in our use of both types of information. PeopleFacts defines identifiable information as customer email addresses, contact and billing information, business type, product preferences, payment practices, transaction history, and other information specific to a particular customer. An external market exists for this type of information, and we understand that disclosure of this information may result in unsolicited communications from third parties. Some companies have a policy that allows them to distribute their customers’ information for purposes other than fulfilling business obligations as set forth in their customer agreements. These companies require the customer to “opt out” of that distribution chain if they do not want their information to be sold or distributed. PeopleFacts does not follow this “opt out” policy. We find this practice as counterproductive to the building of strong business foundations with our customers. As a result, PeopleFacts will not sell or distribute your customer information for purposes of obtaining a profit. We only collect identifiable information on our customers to the extent that PeopleFacts deems it reasonably necessary to serve a legitimate business purpose and to the extent necessary to fulfill our commitment to you. We are selective in sharing identifiable information with any entity hired by, contracted with, or working on behalf of, PeopleFacts. Any sharing of such information is called an Outward Transfer of Customer Information, which is detailed below in the following section. PeopleFacts owes a legal and business duty to our furnishers of consumer data. This duty includes certification to our vendors that the information we seek from them is for the purpose of providing consumer reports to our customers who have a permissible use for that information. We limit the distribution of customer information to the extent necessary to conduct business with our vendors and to meet our own legal obligations. We do not disclose information that is not relevant to the procurement of consumer information. We will only provide the minimal amount of requested customer information necessary to fulfill our business and legal obligations to our vendors. Any further information requested in an annual audit of PeopleFacts by our vendors is limited to what is specifically requested and is forwarded in a manner consistent with our customer commitment and privacy declaration. We ensure that, during the auditing process, the integrity and privacy of this information is maintained. While we go to great lengths to implement commercially appropriate procedures to ensure that our customers’ information is used for authorized purposes by our vendors, we cannot make guarantees as to the actions or policies of these third parties. However, PeopleFacts ensures that any vendor we do business with is reputable, and that is, to the best of our knowledge, conducting business in a way that promotes sensitive data security and is compliant with the law. Sensitive customer information includes, but is not limited to: business credit reports, tax identification numbers, social security numbers, business portfolio information, financial account information, credit card numbers, and other information that would be prime targets for fraud and theft. PeopleFacts will not relay this information to anyone other than a vendor of consumer data that has a legal and legitimate business need for this information. Nor will this information be disbursed outside the scope of the vendor contracts entered into between PeopleFacts and our vendors. The customer has the sole and exclusive right to review its information upon request for purposes of ensuring the content of the customer’s information is correct and updated. PeopleFacts implements security measures which may not compromise the security and privacy of a customer’s access to this information. We also take reasonable steps to verify your identity before permitting access or making modifications to your customer information. PeopleFacts understands the nature of the background checking business. We deal in sensitive data, which raises concerns regarding privacy issues. Accordingly, we have established a strict policy prohibiting the sale or distribution of our customers’ information for any purpose other than fulfilling our obligations set forth in our PeopleFacts Customer Service Agreement. This Agreement finalizes any and all business dealings between the customer and PeopleFacts. Each signed agreement memorializes what is expected from all parties involved. 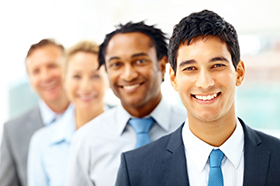 Further, PeopleFacts requires our customers to dispense confidential information for legal and compliance purposes. This information may not be of a nature that customers are comfortable sharing with third-parties. We understand these concerns, and have implemented strict in-house policies designed to minimize risk and protect sensitive information. For Facebook, view their data policies.